When Gizmodo last checked in with archaeologist Mark Willis, he was assembling huge 36 GB panoramic photographs of ancient rock art in the wilds of west Texas; now he's flying drones over ancient pyramids in the Andes. 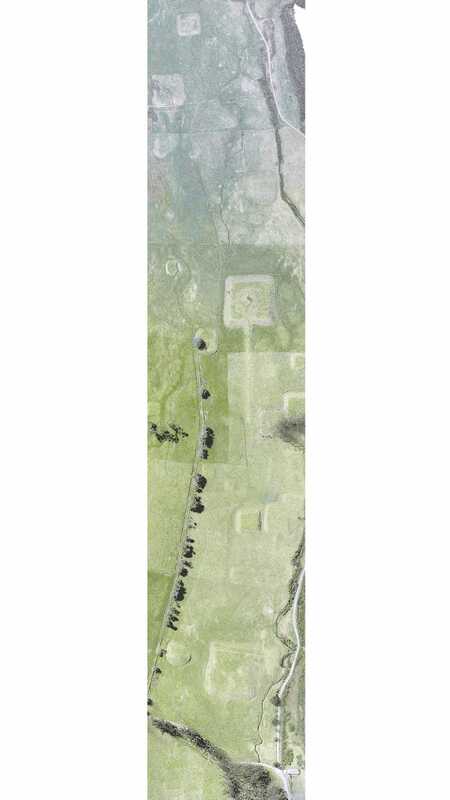 Normally covered by fog, the landscape—dotted with "earthen mounds and platform pyramids... near Hacienda Zuleta"—is exceptionally difficult to image from above using traditional means, Willis explains. Even old stand-bys, such as satellites, are unreliable due to the region's atmospheric conditions. From a representational point of view, it's a kind of hidden landscape, resistant to visual capture. However, as "part of a team of archaeologists who visited the site in August 2013," Willis adds, "we aimed to change that." 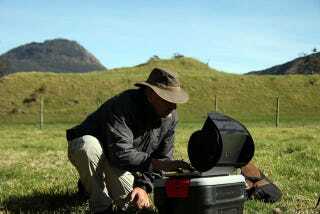 Willis and his team, including archaeologist and remote sensing expert Chet Walker, thus set up shop in the field, popped open their travel cases, and brought out a low-flying drone, something that could map the site in detail from above while flying beneath the fog and clouds. Even then, mapping these artificial landforms—eroded pyramids hidden in the grass—wasn't easy. This was a challenging task as most of the pyramids are located in the bottom of steep constricted canyon inhabited by Andean Condors. To make things more challenging there were high winds, clouds, and quirks of the micro-climates within the canyon to contend with. In spite of that, we were able to fly nine missions and collect hundreds of photographs in just a couple of days. Willis sent Gizmodo a swath of new images from the site, and he has written up the experience for his own blog. There, he notes that his team's "approach has already led to the discovery of many more mounds that are not obvious to the naked eye but stand out in the data. Furthermore, it is the first time the detailed spatial relationship between each of the earthen structures can be explored with precision. This data will be used to track the condition of the mounds over time and has created a digital snapshot of their current state for future generations to ponder." To help make the revelatory nature of their landscape imaging process clear, Gizmodo put together a GIF—isn't archaeology always better with GIFs?—showing the pyramidal forms in the landscape at a variety of resolutions. Check out Mark's own post on the subject for substantially more info, including details on the other members of the team, and we'll keep checking in on his work in the months to come.